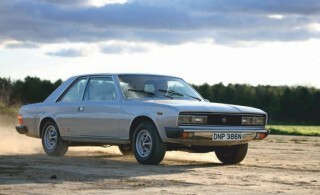 Fifty years almost to the very day I’m writing this, Fiat announced its new 130 saloon at Geneva. Few details were given, and the single car on display kept disappearing into the floor – probably so that people couldn’t linger on the wonky pre-production panel fit. I became aware of them seven or eight years later, just as production was finishing and Fiat was licking its wounds. The 130 has been significant in my life, not just because I’ve owned 11, but mainly because I’ve met some lifelong friends through them. And, to be honest, some complete fruitcakes, which they tend to attract. I can’t recall when I first saw a 130 in the metal, but I remember my dad looking at a saloon for sale at BOC on Hyde Road, not far from Belle Vue – “The Earls Court of the North,” according to Bernard Manning. He decided against it because, even after scrabbling underneath, the auto ’box couldn’t be persuaded out of ‘Park’. This seemed a typically ‘grown-up’ reason, and I pouted for the rest of the day – or at least until it was announced we would be going to a classic show at Donington Park by way of atonement. We had looked at, and rejected, an MGB, an Audi 100 Coupé and even an Alfa GTC, but that was the first time I got really miffed that we’d failed to capture a vehicle. The big, rare V6 Fiat looked so plush and important to a 12-year-old; it even sounded fast with its throaty exhaust. Best of all, it had electric windows: I could visualise myself doing some serious posing with those. 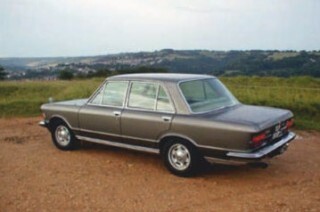 Two years later, Mr B redeemed himself and bought a 1974 130 Coupé for my mother. This was pre-Auto Trader, never mind eBay, and it had been spotted in the Manchester Evening News; I remember Dad telling me he’d picked up the Fiat from a mill in Bolton that was the former Chevron workshop. I thought it was the most beautiful thing I’d ever seen, even more glamorous than our BMW 2800 CS E3. It had champagne trim, gadgets I’d never conceived of (such as two-tone horns and sunblinds) and it was big, with lavish, adult-sized seating in the back. It was my unappreciative sisters who got to ride in it most of the time. When I was picked up from school, my mates thought it was a Ferrari – with the resultant (temporary) boost in status. All I could do was keep it clean, look forward to cadging the occasional ride, collect every road test and dream of the day I could drive it. Meanwhile, Dad noted that the paint was bubbling and was getting nervous about having to tackle the body. Mum loved it, but kept bellyaching about the fuel consumption. It was too good for her, really: all she wanted was an economical hatchback. One day, when she mucked up the starting procedure and wouldn’t let me help I punched a hole in my (plasterboard) bedroom wall in frustration. Foreseeing the rollocking I would get, I had to think on my feet: I found a piece of smelly Formica in the garage, stuck some BMW badges to it and made myself a bespoke coat rack to cover the damage. When it was announced that the Fiat had to go, I went into a demise and had an official week of mourning. My only hope was that nobody would call about it but, of course, they did. First came a man in a Vauxhall Viscount who wanted something to tow his caravan. This seemed an indignity second only to it being turned into a two-door taxi, but he soon realised how thirsty it was going to be and thought better of it. Not so the next suitor, Peter Cox. He arrived in a Porsche 924 turbo and was sensitive enough to pick up on the fact that the lad leaning against the 130 really didn’t want anyone to take it away. But a deal was done and off it went, allegedly to go to Italy for restoration although it was not yet a decade old. A few weeks later I was helping put filler on a rusty Lancia when Cox turned up in an Espada. Having apologised for dropping the Lancia bootlid on Dad’s head, I got my first ride in a Lambo – a gesture I have never forgotten. Peter, if you’re still out there, thank you. From top: underrated saloon began the 130 obsession – Buckley has owned four, plus seven Coupés; Martin’s current superb auto is a keeper.